We hear it all of the time, get protein at each meal, be sure to get some protein in after your workout, make sure you are eating different sources of protein, etc. But what is the reasoning behind all of this? Why should we incorporate it at every meal? Why should we get a variety of sources? Why is it important after a workout? If you have ever had any of these questions in your mind I have the answers for you. We should try to get about 30-40% of our daily calories from protein sources. Daily consumption of high quality complete proteins. Protein is the building block of a lot of our bodies function, musculature, and many other things. It is a great source of fuel to rev up our metabolism, increased brain function,they are a source of enzymes, forming of antibodies, hemoglobin, hormones, and to keep you feeling full longer. Our body uses and assembles ~50,000 different proteins to form organs, nerves, muscles, and flesh. Why do I need a variety of sources? Just like with vegetables and other foods not every nutrition profile is the same. We could eat chicken all day everyday and get a great source of protein but it would not be as beneficial to the body. The reason? Proteins are made up of amino acids which are essential to your body. Chicken doesn’t have the same amino acid profile as beef or whey protein. To be sure we are getting all the amino acids our bodies need it is a good idea to get several different sources of protein each day. Below are some sources and links you can click to purchase some of my favorites! Neurotransmitter production: norepinephrine, serotonin, GABA, acetylcholine, aspartate, and glutamate. RNA & DNA Regulation: amino acids are necessary for our genes to function properly. Why do I need it after a workout? When we are working out a lot of things happen. Ya we get stronger and work on building muscle but first its being broken down during the work out. Would you break down something and not build it back up? Obviously the answer is no. You want to refuel your muscle that you just worked by giving them the nutrients they need to build back up or maintain. This is where protein comes into play. Those amino acids I was talking about earlier are just what your body needs to work more efficiently. You want to be sure you are getting the protein in a bioavailable manor so you want to get a source of protein that is already broken down into these amino acids. The perfect solution to this is a protein drink. If we ate an animal source of protein our bodies would have to be hard at work to break down the protein into amino acids to be able to use them. With a protein drink this protein is already broken down into the amino acids to be used right away. You want to try to get your protein source in about 30-60 mins after exercise to optimize it. I have teamed up with one of my favorite protein companies to give you guys a chance to enjoy 20% off of their product to keep you on track with hitting your protein goals and making your workouts more efficient. 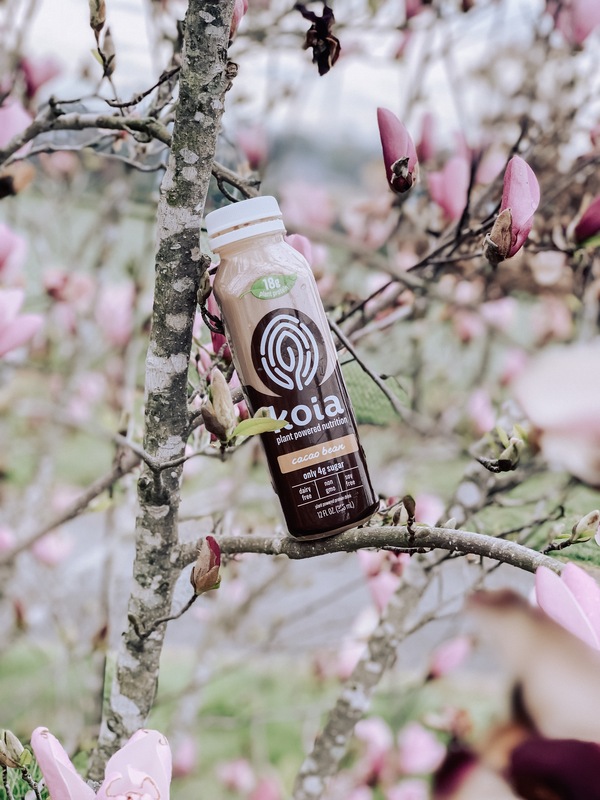 Koia Protein drinks are low in sugar, plant based, and have 18g of protein per bottle. Not to mention they have an array of amazing flavors to choose from! Use my code “KGOOD20” to enjoy 20% off when you click the link below to head to their website!